My girls collected leaves on one of our walks. You’ll notice that we don’t have the beautiful big maple and oak leaves where we live. Nope, we only have tiny, ugly, scrawny trees that have itty-bitty leaves. They aren’t what I wanted but it’s all we have here! 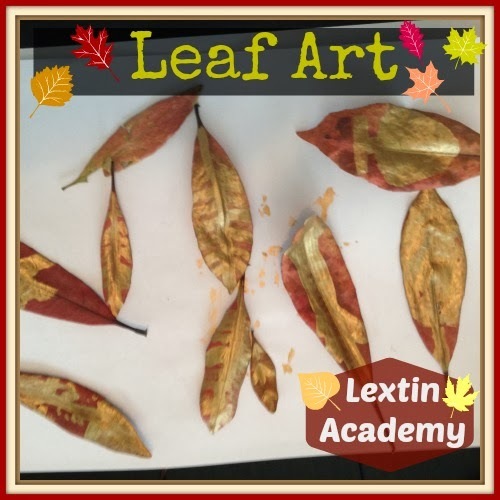 We brought our leaves back and the girls decided to decorate them with gold paint so they would look more like autumn. Most of them were various shades of brown – no beautiful oranges, golds, reds, or yellows here. 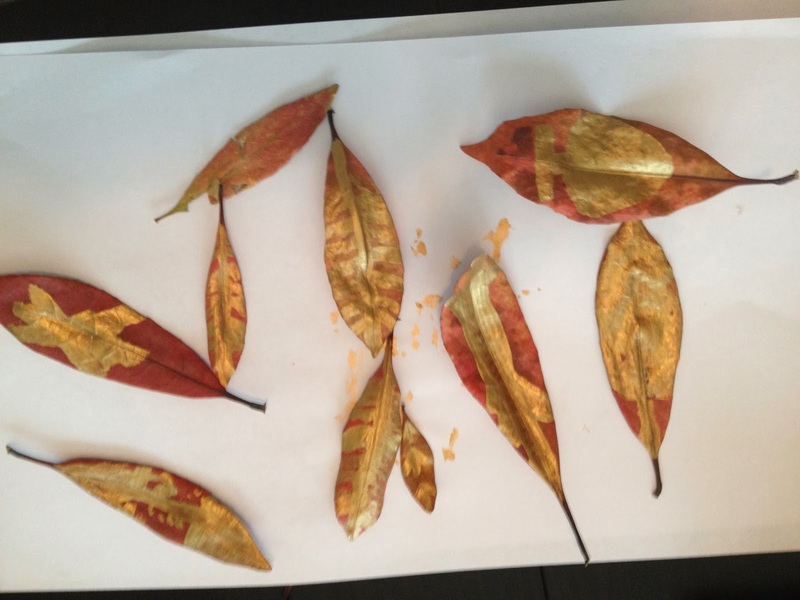 We made our own beautiful autumn leaves! The girls loved decorating the leaves and then we strung them together to make a leaf garland. It’s starting to feel just a little bit like fall!